Brand new high school stadium that makes all PSAC stadiums look really sad. Cost $70 million to build. 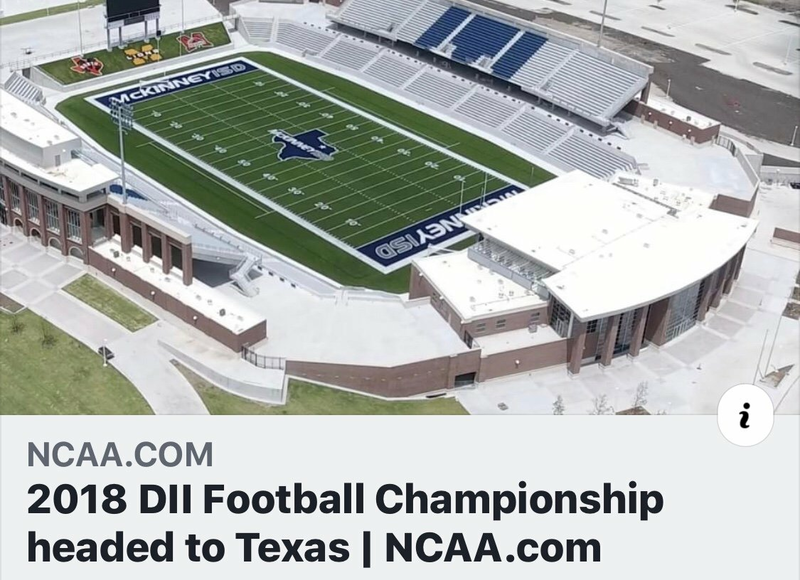 On top of the above, the Big 12 championship game will also be played in Arlington, TX, on Saturday 12/1/18. Last edited by CHIP72; 10-04-2018 at 05:58 PM. That doesn't make our putrid stadiums look bad. Lol. Wow. 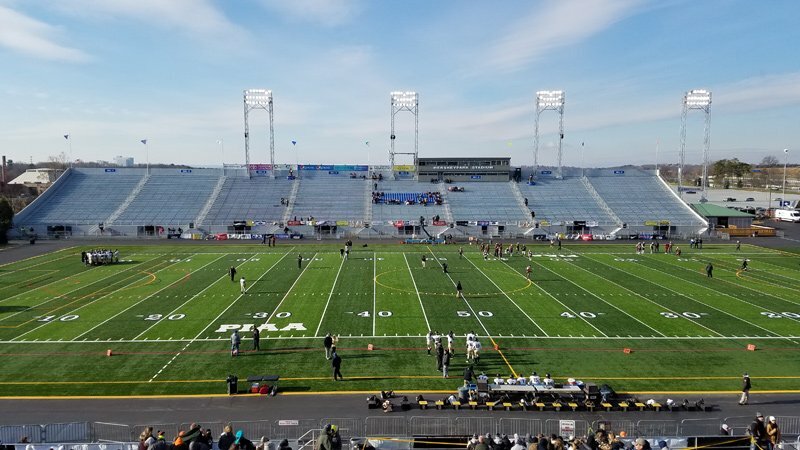 It's going to look like Hersheypark Stadium for a PIAA final in December. Question one---where is McKinney, Texas? Question two--- is this the massively expensive Texas high school stadium that had to be closed for awhile because of cracks showing up everywhere in its structure? At least it will be a short trip for Commerce to pick up their trophy. You are thinking of Allen High School. Home of the Allen Eagles. It’s about 30 miles northeast of Dallas. Allen is also in that DFW area as well. Okay, I recalled reading about a megabucks high school stadium down that way that had problems. Glad to hear that it is not that one where the title game will be held. Wonder what the weather is like down that way in mid-December. I know it can get cold and snow in west Texas out El Paso way as evidenced by flurries during several Sun Bowls that I have watched over the years. The Superintendent there is some guy named Angelo Armenti. Oh is that what he's up to these days? I thought he was in jail. Northern suburb of Dallas and no the stadium that cracked was Allen High School. Is he in a cell block with his former players? Allen is located between McKinney and Plano along the US 75 corridor into Collin County. Collin and Denton Counties north of Dallas/Fort Worth would make Philadelphia's Main Line or the South Hills suburbs of Pittsburgh (Upper St. Clair and Mt. Lebanon, in particular) look like a low income neighborhood, just to give you an idea how rich this area is. The Frisco ISD, west of Allen/McKinney, plays some of their high school games at a 12,000 seat stadium at a complex which hosts the Cowboys' practice facility, and some of their soccer games are played at a complex shared with the Major League Soccer club FC Dallas.